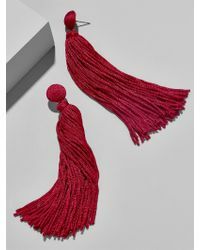 Soft tassels dangle perfectly from thread-wrapped studs. 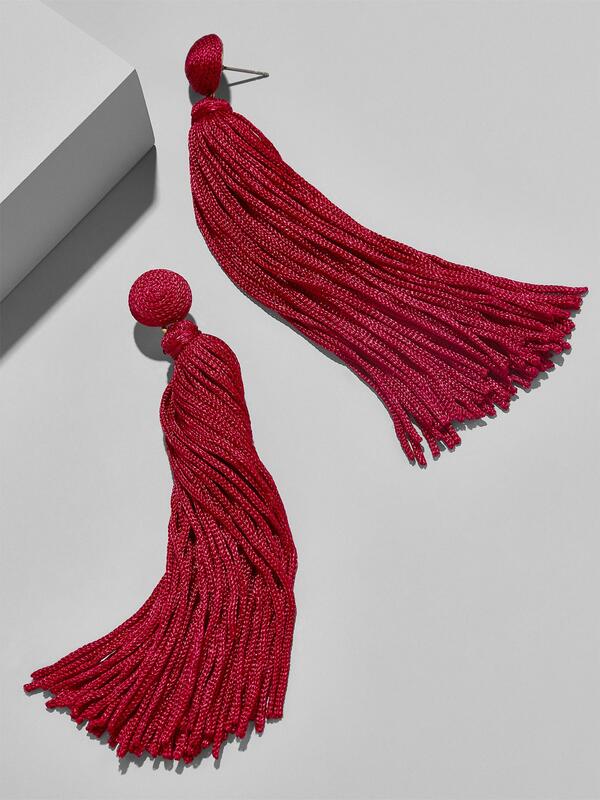 Combined with a sleek silhouette, these monochromatic drop earrings are so chic you'll want to collect a pair in every colour. Pro tip: Because no one likes bent strands, we suggest storing these on a jewellery stand and wrapping for travel. Zinc casting, polyester thread, surgical steel posts. Gold ox plating. Post back. Hypoallergenic. Length: 4.7"; width: 0.75". Medium weight 0.22 oz.